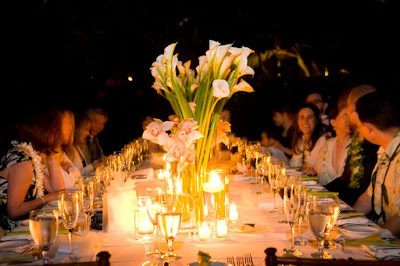 Why a Full Service Maui Wedding Planner? We all want to save a few bucks when we can, there's nothing wrong with that, but what may seem to be a deal today may turn out to be a burden tomorrow. Take our florals for instance. Our custom Maui floral designer will not only create a brilliant and beautiful full bouquet for your wedding day, we guarantee it will be fresh. Flowers are very perishable; a day or two in the fridge can ruin a bouquet. Why should you care? Because if you ordered it from a retail florist and the event should be delayed due to weather or rough seas, they will charge you to make a fresh bouquet. We will not. There's a common misperception that a wedding planner is more expensive than doing it yourself. If there's a glitch in your plans or some unforeseen circumstance that you can't handle because you are on vacation, it may wind up costing you double. Always work with the professionals who know the island and the vendors. You'll be glad you did. Imagery is very important to us. At Marry Me Maui Wedding Planners, we take great pains to create fabulous, dynamic wedding images that you'll cherish forever. Our in house Maui wedding photographer has 23 years of experience here on Maui, always brings an assistant/second shooter, and knows how to put the couple at ease for a fun and creative shoot. Flowers are an integral part of the day. Our custom Maui floral designer, Dellables, creates insane bouquets to your specifications, They can do arches, flower circles, petal aisles, pretty much anything you desire for your day. Della is a breeze to work with and attentive to every detail. These vendors are just part of the team we use to create beautiful and memorable Maui Weddings. 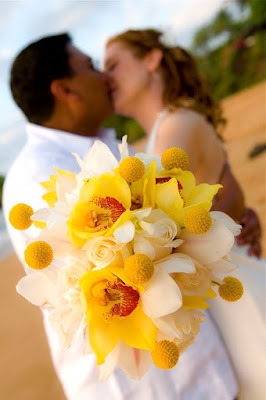 They exemplify the professionalism and creativity we put into every Maui Wedding. "I have a friend who will be doing the photography..."
We hear this every once in a while when folks contact us to book a professionally produced Maui wedding package. It's always great to get the photography of your once in a lifetime event for free, or is it? There are many challenges to shooting a Maui wedding. Timing is the first that comes to mind. When the sun starts to drop out here by the equator it goes fast. A professional, who has been shooting Maui sunset weddings for decades, knows how to squeeze every second out of that short time frame. A seasoned professional will bring an assistant, lights, diffusers and reflectors, and know how to us them and when. Placement of the couple and minister during the ceremony, formal portraits, staged shots of the couple at sunset, etc. 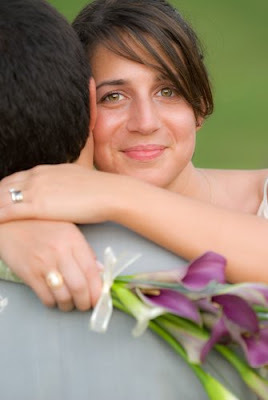 A 6 hour wedding shoot is very demanding and your photographer should know how much work it is. Then there's the issue of your friend wanting to enjoy themselves during the festivities. Everyone wants a good deal. That's a fact not only in times of economic uncertainty but also when times are good. Balancing quality with price is a difficult game and the best price does not always mean the best wedding. Sure, a beach wedding on Maui is a beach wedding on Maui, or so it may seem, but it pays to ask yourself a few questions before booking the cheapest package you can find. Eye contact. That's our tip for couples today. Nothing is more important than eye contact for those memorable wedding photos. Most of our Maui Wedding ceremonies last about 15 minutes; short and sweet. 15 or 20 minutes for your photographer to capture something that happens once in your lifetime. Not to put too much pressure on the wedding couple, but the beauty of your Maui wedding images depend not only on the professionalism of your photographer, but also by your facial expressions, relaxed attitude and eye contact with each other and the camera. During the ceremony, your attention should be on the person you are marrying. Looking into each others eyes during the vows, lei ceremony and ring exchange not only creates incredible images but also bonds the two of you during what is a very intimate moment. Photography coverage for your Maui wedding should include much more than just the ceremony and a few family portraits afterwards. Some of the hotels and most of the condos on Maui allow guests to use the grounds for photography. All of the properties here are beautifully landscaped and offer many opportunities for beautiful, dramatic pre-wedding portraits. A half hour or an hour is all you need to get some great candid shots of the bride and her party getting ready and then some shots around the property. 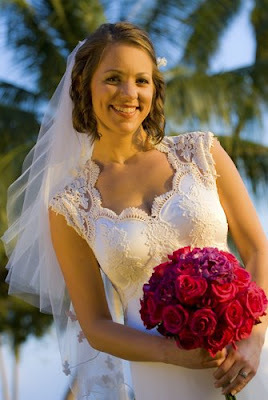 Have your Maui Wedding Photographer call the hotel ahead of time to be sure it's OK to shoot. We always get asked about the right time of day to do a Maui wedding ceremony. Many of our clients want to do a luau as a reception, which usually start about an hour before sunset, pushing the wedding to the middle of the afternoon. While a luau seems like the Hawaiian way to end your wedding day, the timing makes photography very difficult and limits your photographers ability to capture those portraits at the golden hour. We usually recommend that couples save the luau for the day before or after and schedule their Maui wedding for about an hour and a half before sunset. This gives us time to spend about 45 minutes exclusively with the couple to get those romantic, golden images and dramatic sunset backgrounds. We also remind them that even in January, temperatures on the beach at 3 in the afternoon can reach 85 degrees, making even an informal affair rather warm. As sunset approaches, the temperature cools, the gentle trades pick up and the colors get truly spectacular. Planning a destination wedding on Maui has a distinct advantage over other locales in that we have some of the most professional, creative and experienced wedding vendors anywhere. 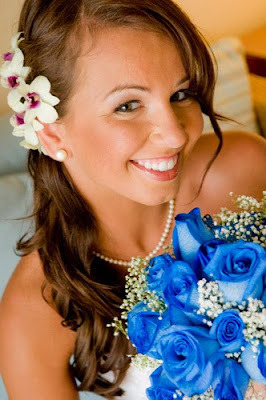 One of our favorites is our Maui Wedding Bouquet specialist, Della Peacock from Dellables. Her designs are beautiful, romantic and unique. Each one is custom made by hand with input from the bride. Della also provides Arches, flower circles and anything else you can imagine. Romantic starlit dinners, warm sunsets at the beach, a soft gentle breeze blowing through a bride's veil, all these things are part of your romantic destination wedding on Maui. As wedding planners on Maui since 1997 and wedding professionals since 1985, Marry Me Maui wedding planners are the perfect choice for your Maui destination wedding. We are intimately familiar with the best beaches and private venues on Maui and contract with the most respected vendors on the island. Our in house Maui Wedding Photographers are the best on the island and will create a warm palette of colors to illustrate your most special day. All our reasonably priced packages include a cd of images along with reproduction rights. With the cost of travel and accommodations dropping, now is a great time to plan your Maui Wedding. Maui's fabulous locations just seem to bring out the best in everybody; brides, grooms, ministers, planners, the family and photographers, all get a little high on the incredible sunsets and unbelievable beaches. We are lucky in Hawaii that ALL the beaches are public and the vast majority of them are suitable for a romantic fairy tale wedding celebration. During our winter months, the temperatures stay around 79 degrees with cool trades and the occasional Humpback whale breaching in the distance. The summer is a little warmer and might be a good reason for chucking the tux in favor of a more casual and cool look. Whatever the season, we are here: Marry Me Maui Wedding Planners and we know the best beaches during any season on the number one destination wedding island in the world: Maui. Maui's beaches are spectacular. From Makena to Kapalua, Maui offers views that are unique in Hawaii. The Maui wedding coordinators at Marry Me Maui are intimately familiar with all of Maui's beaches. 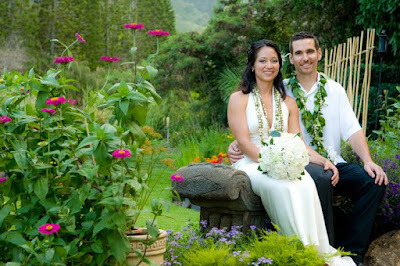 We also offer some of the best Maui Wedding Photographers on the island. The images are a very important part of your Maui wedding and our seasoned pro's know how to capture the magic of the moment. Your Maui photography CD will contain a wide variety of beautiful, high resolution digital files that highlight Maui's beauty and your love for each other. So we're in a recession. Big deal. We think it's an opportunity. Hawaii airfares are at an all time low. 5 star Maui hotels are offering great rates and even in a recession, the beaches of Maui are among the best in the world for a romantic escape where you can combine your Maui wedding with an exotic Maui honeymoon for far less than you'd spend at the country club and church back home. The wedding planners at Marry me Maui Wedding Planners Inc. can put together a reasonable priced Maui Wedding Package for you. Our photographers are artistic and contemporary, familiar with any venue you can imagine and we can direct you to the most quiet beaches on Maui, places known only to the locals. Give us a call 1-800-745-0344 or email us directly at info@marrymemaui.com You will be glad you did. You call the planner on Maui, you've never been there so you rely on his expertise to guide you in the right direction. Hopefully, they've been living on Maui for a while and haven't gotten too lazy to take you to the best beach spots. Not every location is the same. While every beach on Maui is awesome, all beaches are not created equal. Paipu Beach in Makena is our favorite spot. Smooth sand, palm trees and a rocky, hidden path combine to create a beautiful and secluded cove perfect for a small wedding. Of course, you can get married on the beach behind your condo but is that really the way you want to go? By using a professional, local Maui wedding planner who have been in the wedding business since 1985, you can rest easy knowing we've got everything covered. 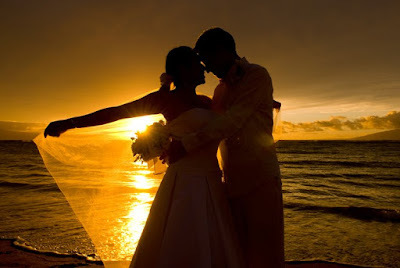 Many wedding couples want sunset beach photos even when they're not getting married on the beach. For small groups of 10 or so, we can usually leave the venue after the formal portraits and drive to the nearest beach for some quick shots. When a larger group is involved, it's often best to book a separate Maui sunset portrait package for a day or two after the wedding. By doing this, the couple gets to spend the better part of an hour with the photographer doing beautiful sunset, beach and water shots in an unhurried fashion. It's a way to get the shots you want without adding extra stress to your wedding day. We can arrange for your Maui portrait session with our photographer. What's in a "Hawaiian Wedding Package" anyway? Usually there's a lei exchange and the minister will blow a conch shell to start and end the proceedings. You may request a slack key guitarist or ukulele player, maybe even a couple of hula dancers to do several beautiful dances for you before, during and after your wedding vows. Of course, there's a beautiful Maui Sunset and Photography. 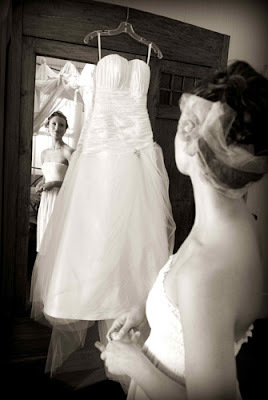 The Maui Wedding Photography offered by Marry Me Maui Wedding Planners is always professional, friendly and beautiful. Your online gallery can be shared with friends and family who were unable to make the trek to Maui and your leather album will be a keepsake for years to come. When you book with a planner, make sure the photographer has an extensive online portfolio and that she's the one who will be shooting your once in a lifetime event.